Gypsy style maternity wear dress, on the knee is fabulously feminine! Manufactured in a super stretchy and soft flowy viscose lycra. An under bust seam,and a tie belt to adjust the fit for comfort. Its comfortable & versatile, an every day wear item. Wear during and after your pregnancy – Simply adjust the belt. 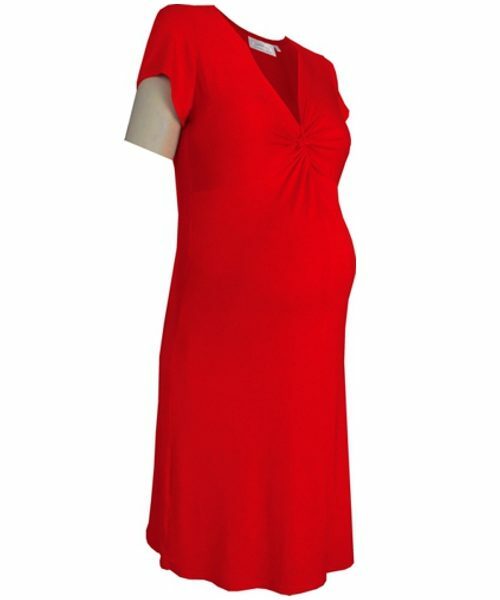 Gypsy style elastic maternity wear dress in hot pink, on the knee is fabulously feminine! Its manufactured in a super stretchy and soft flowy viscose lycra. It has an elasticised neck line and sleeves, with an under bust seam,and a tie belt to adjust the fit for comfort. Its comfortable & versatile, an every day wear item. Wear during and after your pregnancy- Simply adjust the belt.